Increasingly, shoppers are leveraging the internet and mobile phones to research and/or instantly compare retail pricing. Shoppers are also fragmenting their shopping locations and trips at an increasing rate to find the best value. Retailers recognize that simply matching the lowest cost provider is not a sustainable strategy in response to this new shopping phenomenon. To address this challenge, many retailers are transforming their pricing analytics and planning processes with an renewed emphasis on their target shopper’s price sensitivities. They have also recognized that speed, flexibility and unparalleled category expertise are critical to executing this emerging pricing practice. Fortunately, retailers building these new capabilities have proven that pricing continues to be a critical part of their overall market positioning and drives shopper loyalty and profitability. Promotion Funding Optimization: A financial review of the retailer management of promotional markdown budgets and supplier funding capture and allocation practices. Actionable recommendations will be made to executive sponsorship for sign off. Planning & Evaluation Process: TPG designs and installs a tailored promotion planning and evaluation process leveraging TPG’s retail best practices. Promotion Analytics: TPG provides proprietary promotion analytics and scenario planning model will be used to assess the category growth from various promotional scenarios. Alternatively, TPG can help retailers leverage existing promotion tools. Promotion Tool Evaluation & Installation: TPG will facilitate the review, sourcing, piloting, installation of new promotional tools, databases and systems. 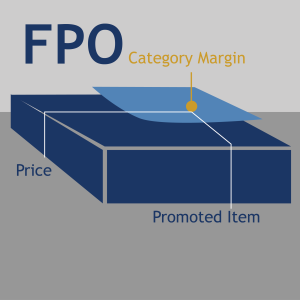 Promotion Organization Capability: TPG will identify the required pricing competencies and training regimen necessary to build the desired pricing organization capabilities. TPG will also design and implement a Promotional Center of Excellence to build leading capabilities.